Published Oct 14, 2011 by Peachpit Press. Part of the Learn by Video series. This focused workshop provides over 3 hours of high-quality video training on editing your own personal videos in Adobe® Premiere Elements® 10. 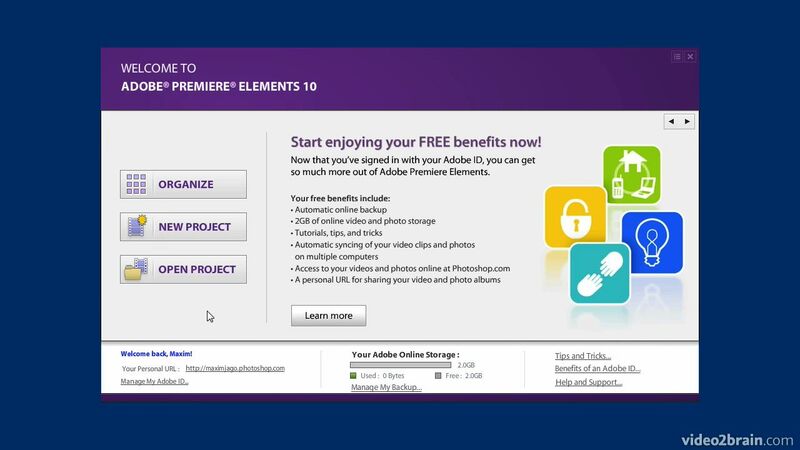 Video expert and trainer Maxim Jago starts by introducing you to the Premiere Elements workspace and explaining how to bring video files into the program. Next, you’ll learn how to assemble your video clips into great-looking movies complete with titles, transitions, and special effects. Maxim will also show you some of the new features in Premiere Elements 10, like the Cartoon Effect filter and techniques for sweetening audio. Finally, you’ll learn how to share your movies with friends and family on DVDs or the Web. As with all titles in the Learn by Video series, the project files used in the lessons are included with the course, and interactive review questions help reinforce what you've learned.